Get up close and personal on the 18th Annual Gitchi-Gami Trail Association North Shore Bike Ride. 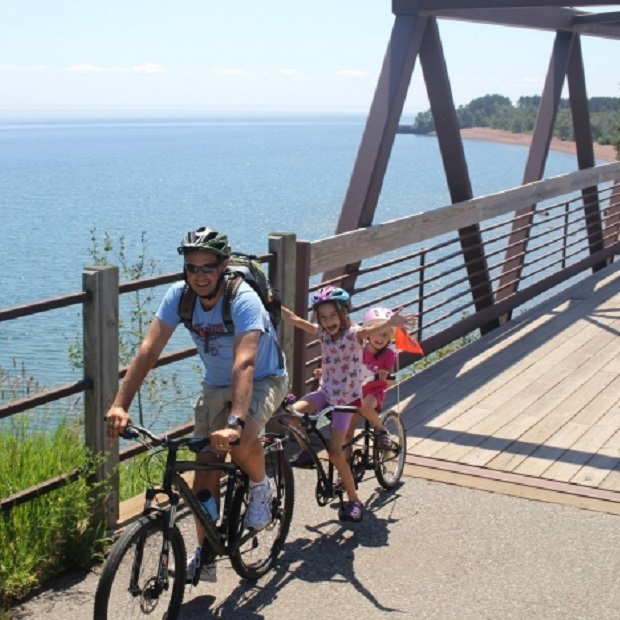 On Saturday, August 18, enjoy shoreline views of Lake Superior as you pedal the Gitchi-Gami Trail (GGST). Occasionally along the way passing through a state park or riding over a serenading waterfall as it cascades into the lake. This year with the usual: Snacks, T-shirts and sag support on four ride lengths, that includes a family friendly 8-mile option. 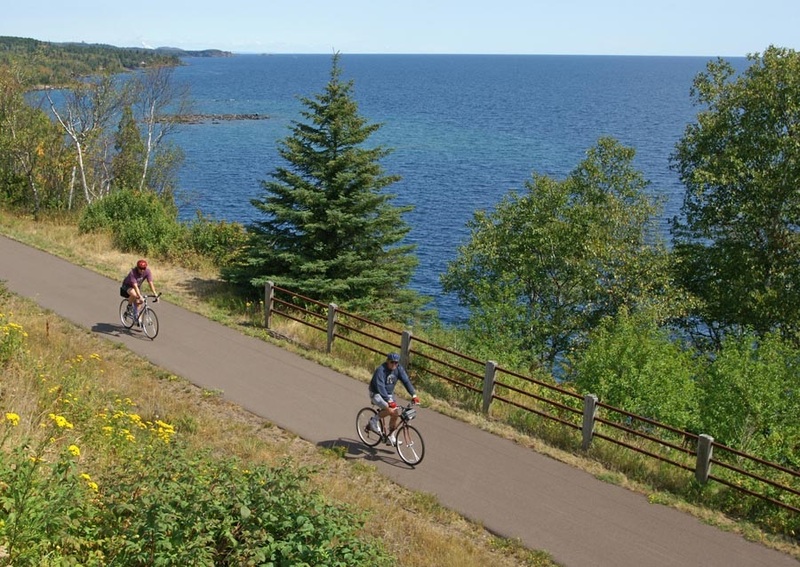 Starting at Gooseberry Falls State Park, the start time is : 9 to 10 a.m. Saturday morning with recreational ride lengths offered at: 8-miles, 28-miles, 34-miles and 55-miles. 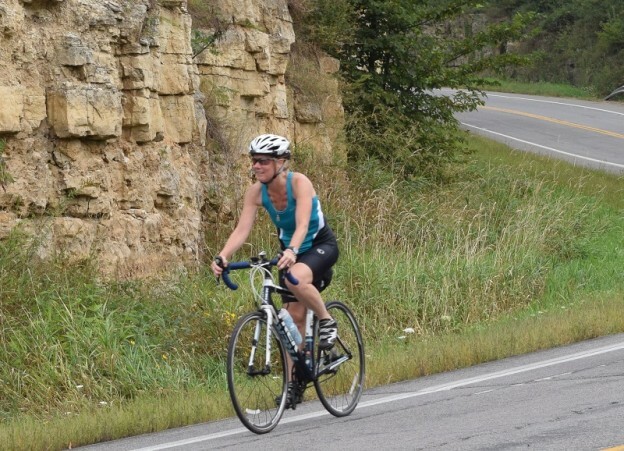 The 55-mile ride is the only course that will use connecting roads. on the ride. All other options stay on the trail. Click HERE for a mail-in registration form! Follows the GGST for 4 miles from Gooseberry to a rest stop at Twin Points wayside, where there will be treats and special events for families. The ride returns on the GGST to Gooseberry. 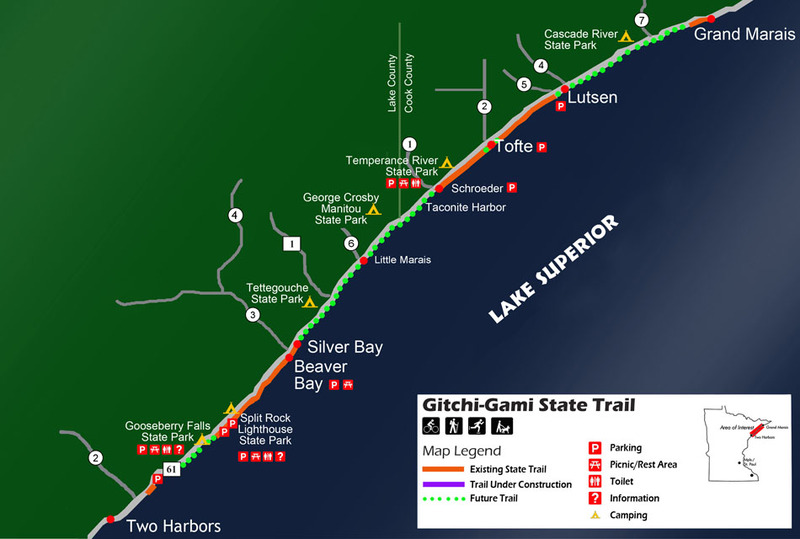 Entirely on the GGST, from Gooseberry through historic Split Rock Lighthouse State Park, continuing to the rest stop at the Beaver Bay Wayside, and returning on the trail. Because it is an “out-and-back” ride, bikers can turn around at any time to return to the starting point. A new route this year (All on trail)! Follows the GGST to the rest stop at Beaver Bay Wayside, continues over the Beaver River Bridge on separated trail. You’ll turn left up the hill on the NEWEST segment of GGT along the West Road and continue on trail to Silver Bay. From there, you’ll turn around and retrace your your path back to the rest stop at Beaver Bay. Refuel and then the route returns to Gooseberry on the trail. Another new route this year! Follows the GGST to Beaver Bay Wayside, continues on trail over the Beaver River Bridge and left onto the NEWEST segment of trail alongside West Road. Continues to Silver Bay where you will make a loop north beginning by turning left on Penn Avenue. Turning right on to Lax Lake Road you’ll bike to Hwy 1 and the Eckbeck rest stop, continue to Hwy 61, where you’ll head uphill at Outer Drive/Penn Avenue and pick up the Gitchi-Gami trail again near Rukavina Arena back to Beaver Bay, and then back to Gooseberry on the trail. Registration can be completed online (through secure PayPal payment) at the link above or by mail, using the form on this page. Cost of the ride is $45. They offer a $10 discount to members, if you would like to join. Consider staying in Silver Bay, the Heart of the Northshore, on the top end of the GGST Ride Route, for plenty of things to do pre- and post your bike ride. 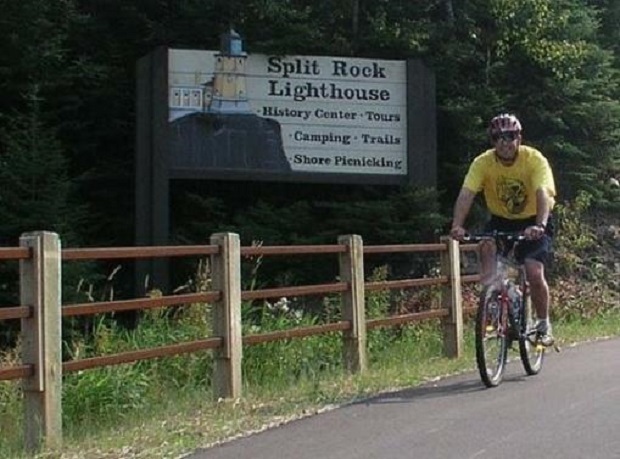 This entry was posted in Destinations, News and tagged Gitchi-Gami Trail Association, Goose Berry Falls State Falls, Heart of the Northshore, Minnesota trail, North Shore Bike Ride, Split Rock Lighthouse State Park, Visit Silver Bay on August 6, 2018 by Russ Lowthian. The Munsinger Gardens is a great place to stop and relax when passing through St Cloud, MN on a Mississippi River Trail bike ride. 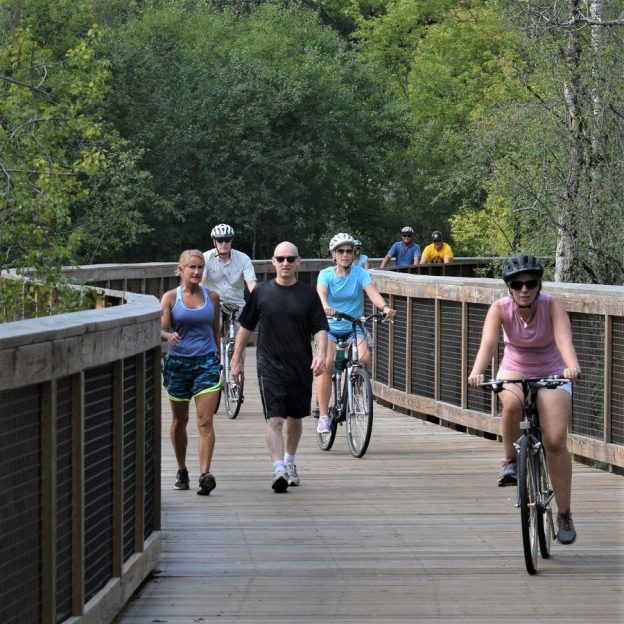 This seven day ride covered 375 miles, from Itasca State Park to Fort Snelling State Park, in St. Paul. 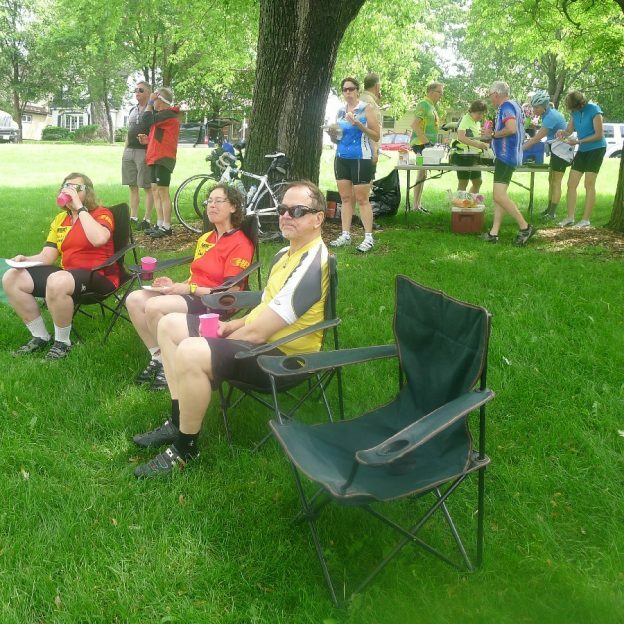 This photo was taken in 2012, by Diane Ziess, on the Inaugural Mississippi River Trail Bike Tour. Sitting and enjoying the gardens overlooking the Mississippi River are from the left, Mark and Cheryl Norton and John Ziess. 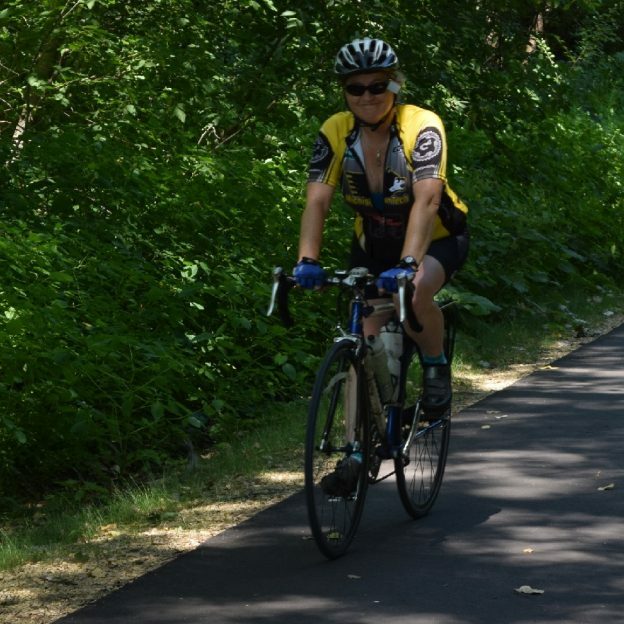 This entry was posted in News and tagged #FindYourNextAdventure, #onlyinMN, Minnesota bike tour, Minnesota trail, Mississippi River Trail, Munsinger Gardens, Road Biking Minnesota, St Cloud MN on July 25, 2016 by Russ Lowthian.